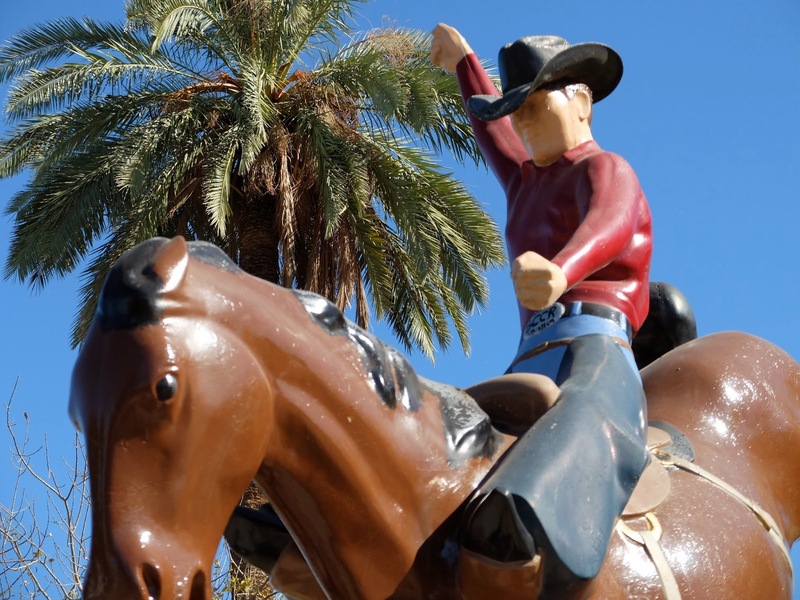 This statue in Brawley California represents the American cowboy Casey Tibbs riding a bucking bronc. 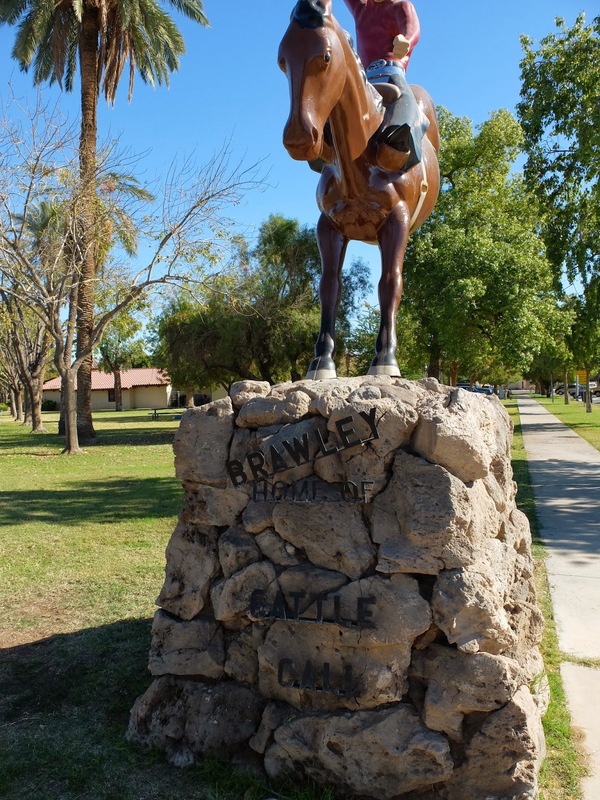 This is one of two statues celebrating Brawley’s signature event, the Brawley Cattle Call Rodeo. 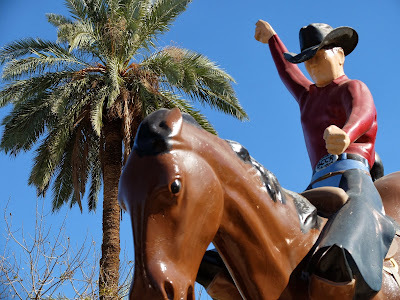 These photos are of the statue located at Park Plaza downtown (here). Read more about them here: Brawley Cattle Call horse statues get a make over. 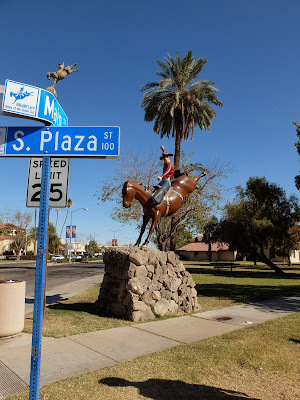 Notice the small bucking bronc that caps the street sign post.